Koh Tao is an island like all places with a name starting with Koh ( it means island in Thai ). This is the number one place for diving in Thailand. The diving clubs are so numerous that it is almost impossible to make an accurate count of them. The the seabeds to explore here are sublime. With the calm turquoise water, the white sand beach and small islands off the coast it is a real postcard scenery. The island has not finished his modernization accelerated by the arrival of tourists. Some parts of Koh Tao are still difficult to access by road. The beach with most tourists is Sairee Hat. Most of accommodations, diving clubs, restaurants and bars are there. In the evening, sit in bars and restaurants on the beach. If you don't feel on holiday here, you will never. The beach is beautiful, the sea is calm and transparent with its wooden fishing boats painted in shimmering colors. Nightlife is here a lot less noisy than in Koh Samui and as for us more enjoyable. A small paradise island. because of its insularity and its ability to attract tourists from around the world, the prices in Koh Tao are significantly higher than in the rest of the country. But still is very affordable for western incomes. The months of October and November are particularly rainy in Koh Phangan, Koh Tao and Samui, better focus on other months of the year to come here. Sleeping in Koh Tao is expensive compared to the rest of Thailand. Here cheap guesthouses are very rare, especially in Hat Sairee beach where most of the tourist stay. There is indeed a dozen cheap addresses (cheap for here) but the rooms are generally booked weeks in advance and they have no direct access to the beach. Arriving in Koh Tao in high season without an hotel booking means spending a lot of time walking from guesthouses to hotels before finding a room available. Note that Mae Haad, where the piers are is where you will most likely find a room if you have no reservation. This is also where the prices are generally the cheapest. People often ask me what accommodations I recommaend in Thailand, here are my recommandations in Koh Tao. Koh Tao has a tropical savanna climate. The island has only one month of true dry season (February). The climate is hot and humid for most of the year but the island is on average less humid than Phuket. The rainiest months are October and especially November. The rest of the year, given the tropical climate, showers are brief. The best mome,nt to come to Koh Tao is from January to April but Koh Tao is also enjoyable during the months of July and August. 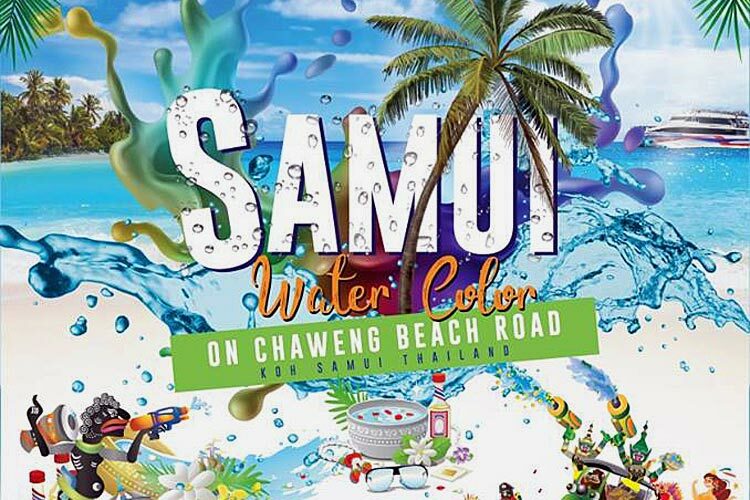 At this time of the year Koh Samui, Koh Phangan and Koh Tao are the islands of Thailand where the weather is the best. The months of October and especially November (sometimes until mid-December) are not recommended for a stay in Ko Tao. When to go to Koh Tao ? The island begins to be victim of its success. Many tourists arrive every day, so it is very difficult to find a room available at last minute especially duriing high season (November-March). Booking in advance is better (see our accommodation page). How to get around in Koh Tao ? Taxis in Koh Tao are generally pick-ups with a \"Taxi\" sign and an identity number or even personal cars. There are no taximeters on Koh Tao. Taxi can mainly be found in Mae Haad near the pier. They are quite expensive (from 200 to 300 THB to get to Sairee Beach and Chalok Ban Kao) and despite high prices, they often only leave when they are full or charge extra. Note that many diving clubs and some resorts offer free pickups. For longtails tours, you will easily find boat taxis along the beaches and at the pier. They offer trips around the island or to Koh Nang Yuan. Of course you can also rent scooters and motorcycles in Koh Tao. The price is from 150 baht per day for a manual motorcycle up to 250 baht for an automatic one. Check the bike condition carefully before leaving and take pictures because damage on the vehicle could cost you a lot. And be careful on the roads, a part of the island has no real paved roads. Rental of mountain bikes is also more and more popular on the island. How to ask in Thai to go to Koh Tao ? I want to go to Koh Tao / Yak paï ti Koh Tao. Where is Koh Tao ? / Koh Tao you ti naï ? This small private archipelago of 3 islands offers the most beautiful landscape in Koh Tao and one the most famous views in Thailand from its perched viewpoint. Pretty beaches on sandbanks that connect the islands with each other, mythical viewpoint and nice snorkeling spot, if there is a must-do visit in Koh Tao, this is it ! The challenge will be to do it when there are not too many people.